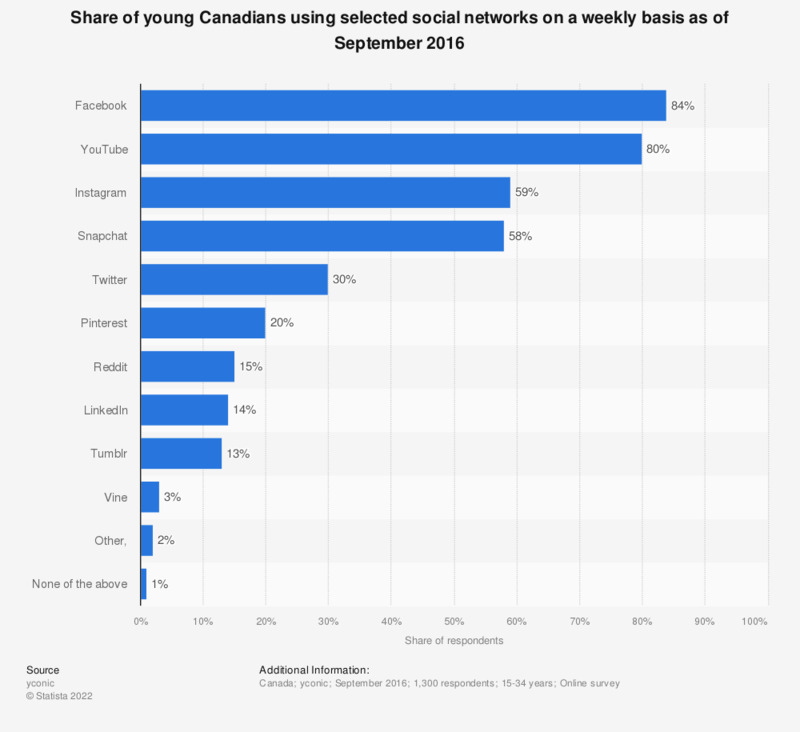 This statistic shows the responses on a study about social network usage in Canada as of September 2016. During the reported period Facebook was used the most frequently with an average of 9 usage sessions per week. Instagram was also used frequently, with an average use of 6 weekly sessions. Question: When it comes to weekly usage, which of the following social media platforms do you use? Please select all that apply.